Is this a gift? Great idea! Enter your gift message here. A cross between an orange and a lemon, the Meyer Lemon has a floral scented, tender rind with very juicy, sweet flesh that's perfect for lemonade, marmalade and a plethora of culinary applications. 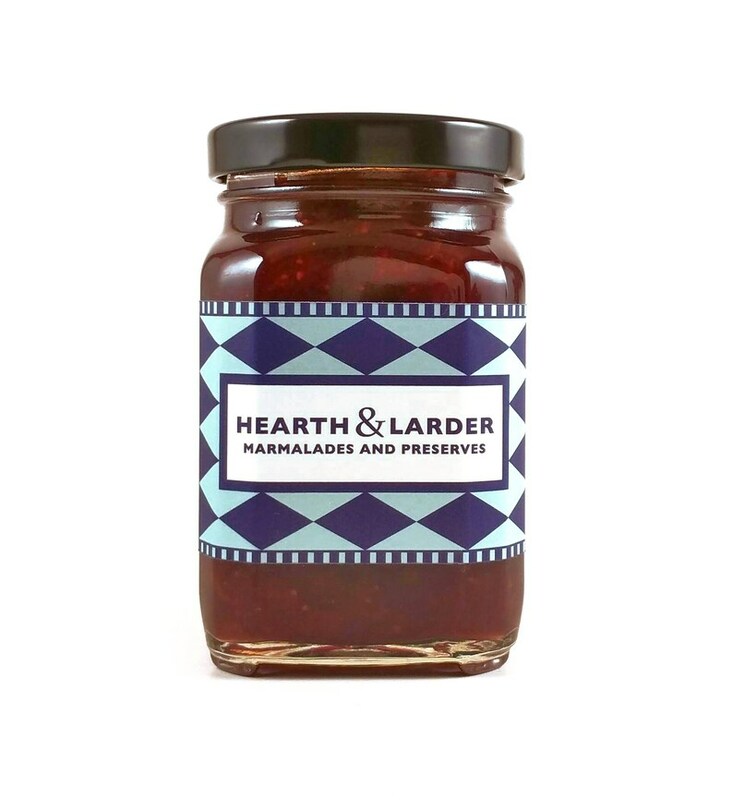 Hearth & Larder's Strawberry-Meyer Lemon Marmalade is the perfect blend of locally sourced sweet, summery strawberry jam and Meyer lemon marmalade. Upon your first bite, you'll taste the sweet strawberries, that are cut in big chunks. Then the lemon will hit your taste buds making the whole experience mouthwatering and addictive. Makes an excellent filling for crepes, or other desserts as well as a topping on plain Greek yogurt or on cottage cheese with toasted almonds, my favorite. Hearth & Larder is a one-woman show. Everything is made from scratch, one batch at a time made with seasonal, pesticide-free, fruit and organic sugar. All of my citrus marmalades are made without the use of commercial pectin. I utilize the natural pectin found within the membranes and seeds. In other fruit jams that don't have enough natural pectin, I use 100% pure citrus pectin powder which is non-GMO, gluten-free, vegan, and free of additives, preservatives, sugar, dextrose and contains no corn or apple by-products. The citrus I use is primarily grown in the orchards of Bernard Ranches in Riverside, California. They utilize beneficial insects to control pests and fertilize with seaweed and mushroom compost producing superior flavor and sweetness. Small batches are cooked in large copper pans which offer exceptional heat conductivity and reduces the overall cooking time. The result is vividly flavorful, fresh tasting marmalades and preserves. The process is labor intensive but that's why it tastes so good! And it's always 100% handmade. If you're a grapefruit lover, this is for you. It tastes absolutely divine mixed in Kite Hill's plain unsweetened almond milk yogurt. This is a delightful concoction of lemon and blueberry. Very delicious! My items were well packaged and arrived quickly. Michele provides excellent customer service and a great product. My boyfriend loves it! The flavor is spot on.